Some recent photos working in 2018/2019 with Mariano Barreiro Tango Trio, Maxi Larrea Trio, and Redwood Tango Ensemble in San Francisco Bay Area. 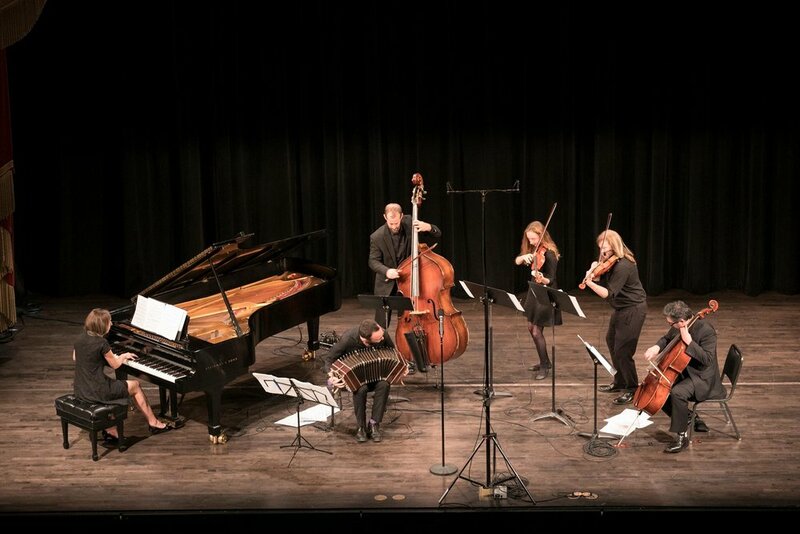 Redwood Tango Ensemble was invited to perform for the amazing SF Music Day, curated by IntermusicSF. We closed out the night with a program included original music, plus that of Astor Piazzolla, Daniel Ruggiero, and Julian Peralta. What an amazing night! Redwood Tango Trio is heading on the road to celebrate the release of PRIZEFIGHTER, our new vinyl LP with ears&eyes Records. We are excited to journey from Chicago to Montreal and back, take a look at all the dates and details and we hope to see you! 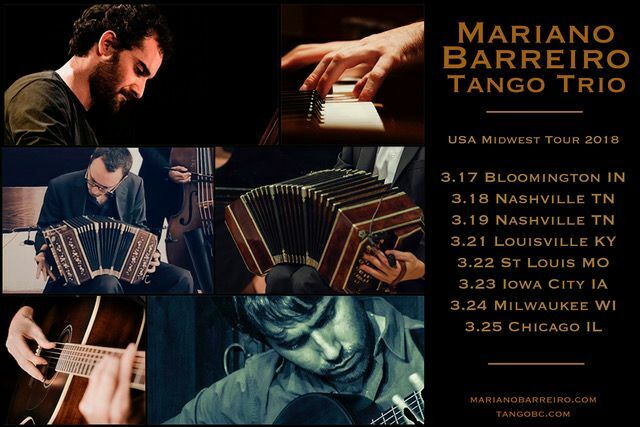 Brilliant tango pianist Mariano Barreiro and I will be traveling central and south United States in July, playing concerts and milongas in Chicago, Madison, Louisville, Cleveland, Nashville, Atlanta, Birmingham, New Orleans, Houston, Dallas, Oklahoma City, Kansas City, and St. Louis. We hope you see you there, check here for details on all performances. 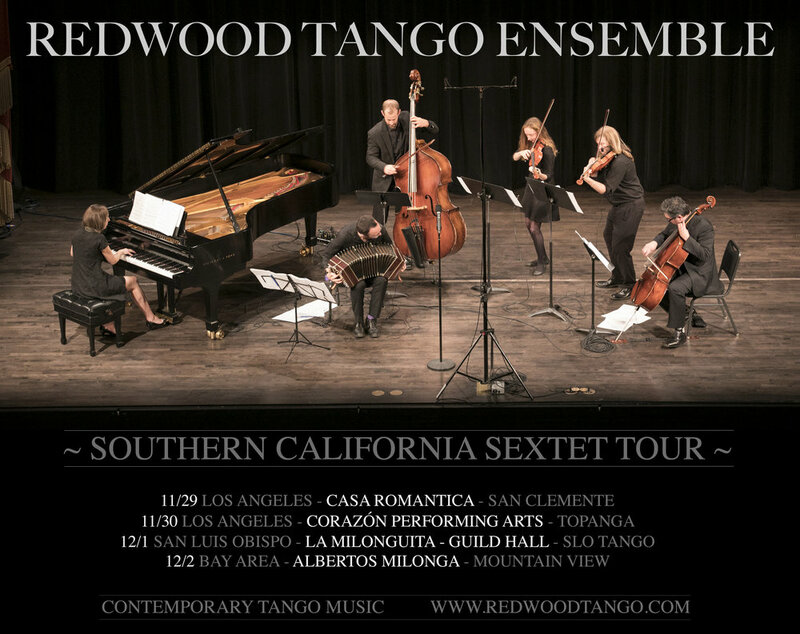 Redwood Tango Ensemble is one of 10 new records listed for Bandcamp Daily's Best of Jazz list, June 2018. 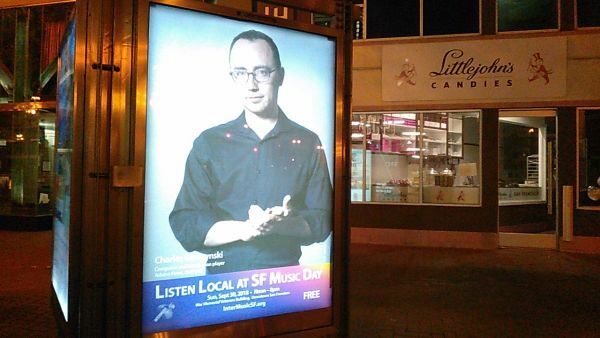 Thanks Dave Sumner from Bandcamp and Matthew Golombisky (ears&eyes Records)! 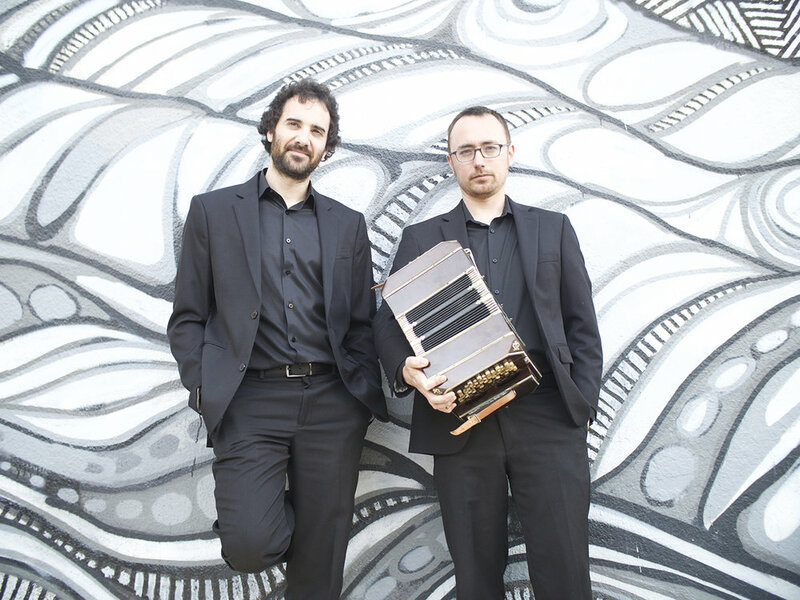 We have been fortunate to partner with Tango For Musicians, a powerful educational outfit for tango in the United States, and will be working with the faculty as part of the arranging course for budding tango arrangers. Everyone involved in this program has been an inspiration. 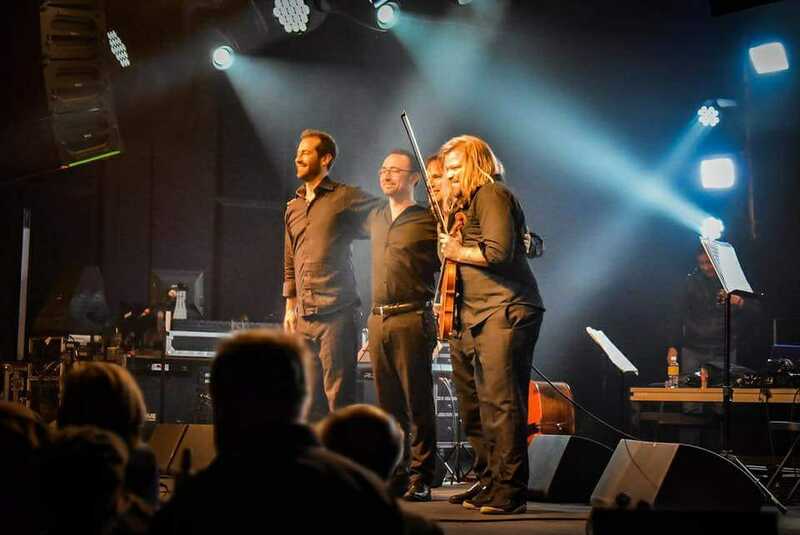 We also took the opportunity to invite our good friends bandoneonist Ben Thomas and violist Sarah Kwok into the ensemble for some powerful performances, and collaborated with Belgian tango dance champions Yannick and Liz Vanhove. Thank you Ben and Sarah, Yannick and Liz, and Morgan Luker for creating and sustaining this program in the US! To celebrate the release of our new album we will perform the entire album at the Red Poppy Art House in San Francisco! Also the music of modern luminary tango composers like Diego Schissi, Julian Peralta, Daniel Ruggiero, and more. Check the performances page for more details. We are thrilled to announce the release of Prizefighter, a new set of original tango music that has been a long time coming. 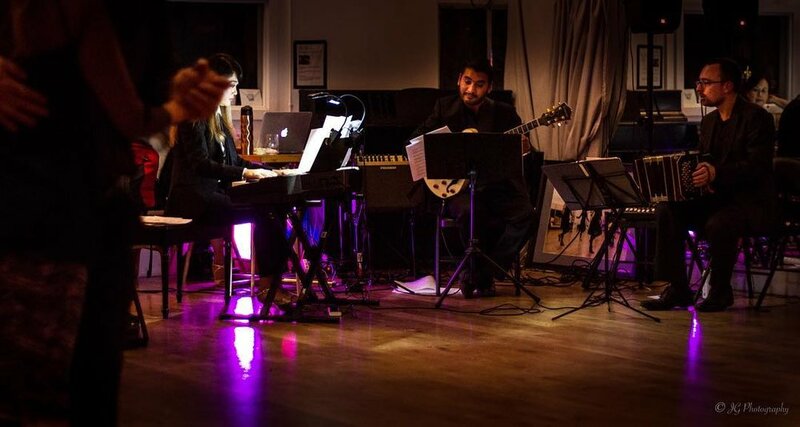 Over the past two years we worked on this music in rehearsal and in studio, and worked with some of our favorite musicians in crafting some of the details: bassist Ignacio Varchausky and pianist/composer Diego Schissi. The music was recorded over two days at Fantasy Studios in Berkeley by Adam Muñoz, mixed by John McEntire (Tortoise, The Sea and Cake), and released with our friends at ears&eyes Records who have split their time between Chicago and Buenos Aires. Order the album at our Bandcamp Store, thanks for your support! A new video for the single "Bellow", and another for "Fist of Fast Wishes", both on the upcoming vinyl Redwood Tango Ensemble release PRIZEFIGHTER. 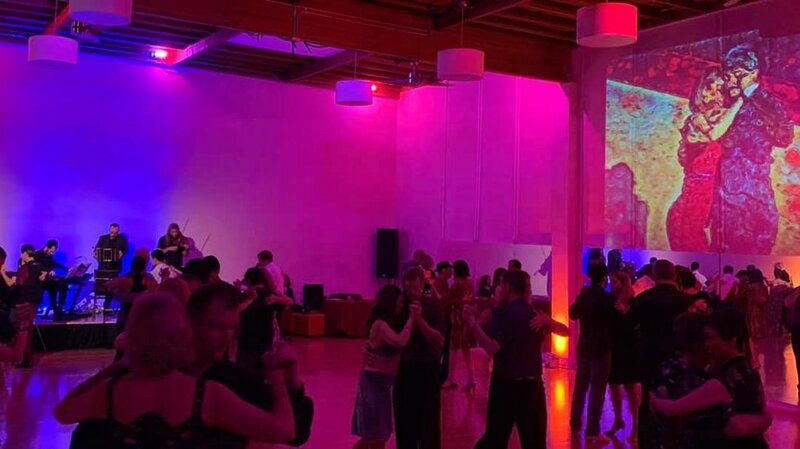 Thanks to Ashkenaz in Berkeley for their generosity and spirit, Community Music Center San Francisco, and dancers Count Glover + Caeyln Marie Magdalena Cassanova. I will be performing Astor Piazzolla's iconic bandoneon concerto "Aconcagua" with composer Mason Bates' Mercury Soul Orchestra, for the production of Mercury Soul - Danzón. 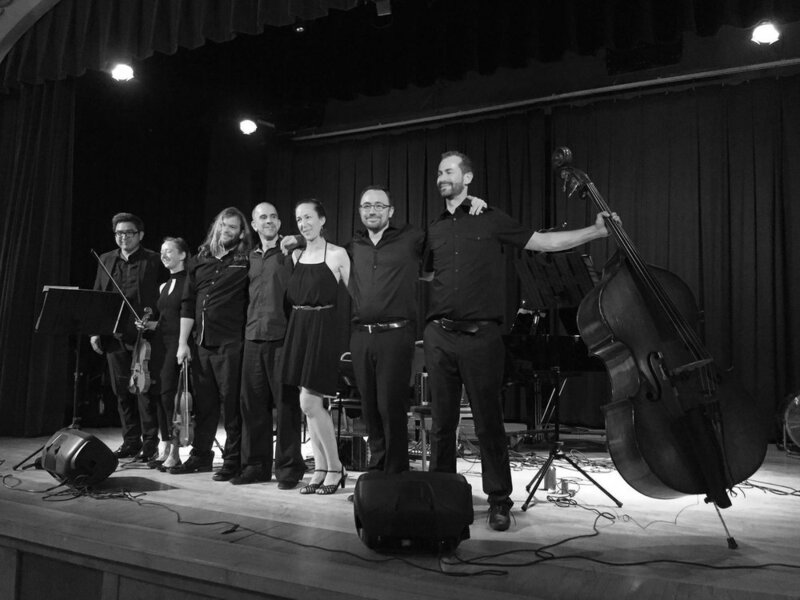 Redwood Tango Ensemble will also be performing the music of Julian Peralta and Daniel Ruggiero, and Thievery Corporation's Rob Garza will play the night out. Don't miss this rare one time event!